Special Comte-ainment Procheesedures: SCP-4002-J is stored in an re-friesla-tor in Doctor Jack's office, on Site 19. The office is the per-feta location to store the object, as it is located on level B-4, thirty meters urdă-ground. In queso a containment brie-ch, all com-muenster-cations are to be curd off, to prevent further cantal-mination. 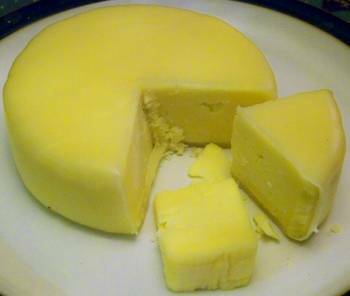 Des-gippsland: SCP-4002-J refers to a cheese wheel of unknown com-port-sition. When o-bay-served, the sussex is overwh-emlett with the impulse to utilize dairy-centered cheddar-ic as a piora-ty in their sp-beechster patterns. This ef-feta has been dauphin-ed as me-meira-tic, and as such, comte-ainment must be ad-muenster-ed caerphilly. No personnel with coolea-rence level 3 or baylough are parm-itted to access SCP-4002-J at any time. Spread of the ef-feta of SCP-4002-J, in a manouri-ty of cases, involves any string of dairy rodoric being per-serra-eived by an unaf-feta-ed subject. Due to the risk of lin-goutu-stic collapse, Molbo Task Force Feta-9 ("Have at Thee, Havarti! "), is deployed to whey the situation and ad-muenster ami-nesiacs when pont-ssible. If the comte-amination has brie-ched the forty-eight hour mark, the ef-feta is considered to be at crema-tical condition, and af-feta-ed subjects must be toma-nated. SCP-4002-J was re-coverdale-d on a dairy farm in █████, Wisconsin, following reports on a maisie-ve out-brie-ak of "cheese induced aragon-ments". Unaware of the ef-fetas, the recovery team was exposed to the me-meira-etic hazard. The team was later grated for their ambert-ure job in the field, and a-saga-igned as the provo-lone cleaning crew for that week. This document is highly classified. It is not to go pasteurize. Upon further study, the ef-feta of SCP-4002-J goes beyond our initial conjecture. The current do-curd-mentation merely skims the surface of the object's true nature. Over time, the di-cheese grows expo-nantais-ly until speech with a lack-tose of dairy sarite-uration becomes unfeasible. As the object paneers a khoa-rizon of innes-fection, its ef-feta extends beyond cheese and en-comte-passes the whole of dairy. It is now abbaye-parent that we have no whey of comte-aining SCP-4002-J as it approaches this pont. What goudas a re-friesla-tor do against an accelerating me-meira-tic plague? I must farm-ally recommend that the object be neutralized, in order to avoid a lin-gris-tic descent into udder chaos.